From the email they receive from you? From your Thank You page? From your Contact Us page? From any other relevant features or pages such as your live chat feature? If the answer is yes, great job! If the answer is no on any one of these bullet points then you might be losing potential customers. I can't sum up the total amount of hours I've spent going back and forth regarding when a good time to setup a meeting would be with a prospect. Once the date and time are pinned down, there's an additional member who wants to join in or a new time has to be found due to unforseen circumstances. Sound familiar? No worries, I've found a solution which have saved countless hours for the agencies I'm coaching. I found it way easier to let others book meetings with me instead of countless emails and I did it in just a few clicks. 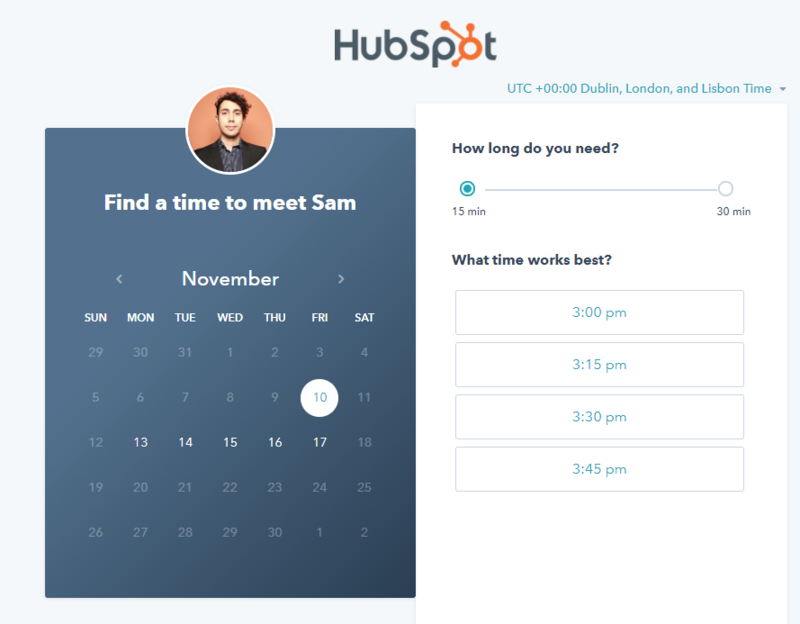 The solution was HubSpot's Meetings tool (found in the SalesHub Free btw). The person interested in booking a meeting with you just has to select an available date, timeslot and their details. Everything is customizable, from meeting length to how far in advance they can book it. You can even create Group Meeting invites if you want more people from your side to join the booked meetings. If you are going to have the Meeting tool available for anyone to book, make sure to add some qualifying questions (company name etc.) so you know if you would like to proceed with the meeting or not from your side. What's needed is a Google or Outlook account, HubSpot Sales (free) and someone who wants to book a meeting with you. What does the Meetings tool look like? 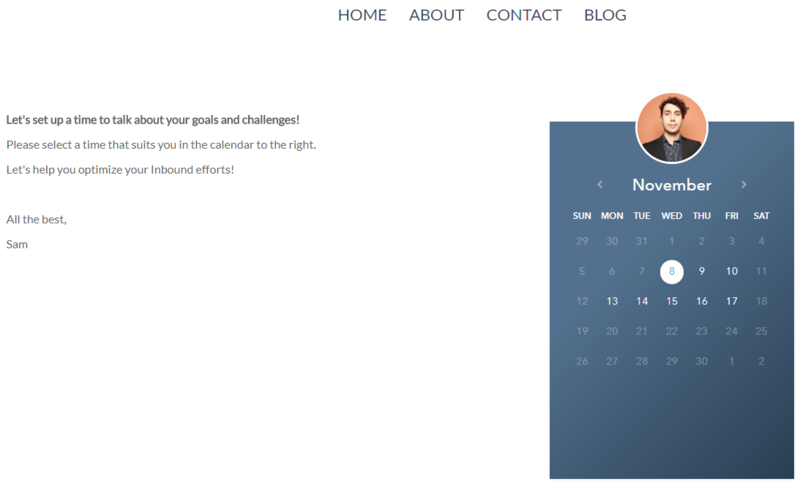 This is an example of what the tool looks like, colors, logo, text and pictures can be changed. Generic call to actions such as "Request a consultation" are outdated, make the "book a meeting" option desirable and relevant by focusing on what your ideal prospect needs help with. If they are exploring a section regarding SEO, then your call to action should be relevant to Search Engine Optimization. An example would be: When is a good time to talk about how you can rank higher? Book a free SEO audit here. By following the simple best practises above and from Part 1 regarding Leadflows, you are now able to get more customers who do the work of booking meetings and qualifying themselves so you can focus your time on providing the best solution possible based on their needs. If you want to get started with the Meetings Tool you can do so here.